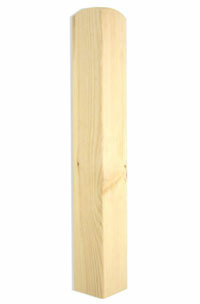 Newel post bases are produced in 92mm timber. They are chamfered and drilled with a 50mm diameter hole. Other lengths are available to order.